The award-winning cast includes: Peter Ustinov, Bette Davis, George Kennedy, David Niven, and Maggie Smith; with Mia Farrow, Angela Lansbury, Olivia Hussey, Jack Warden, Lois Chiles, Simon MacCorkindale, and Jane Birkin. Directed by John Guillermin. 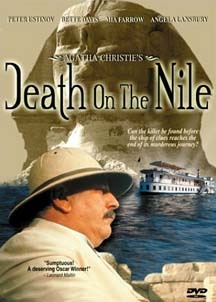 Screenplay by: Anthony Shaffer, based on the novel by Agatha Christie.